A boy who never learnt to speak after swallowing toxic chemicals when he was just one-years-old has had ground-breaking surgery to transplant a new larynx and throat. For five years, the six-year-old called Tymek had to be fed directly through his intestines after swallowing chemicals used for unclogging pipes which destroyed all of his internal organs from his throat down to his stomach. 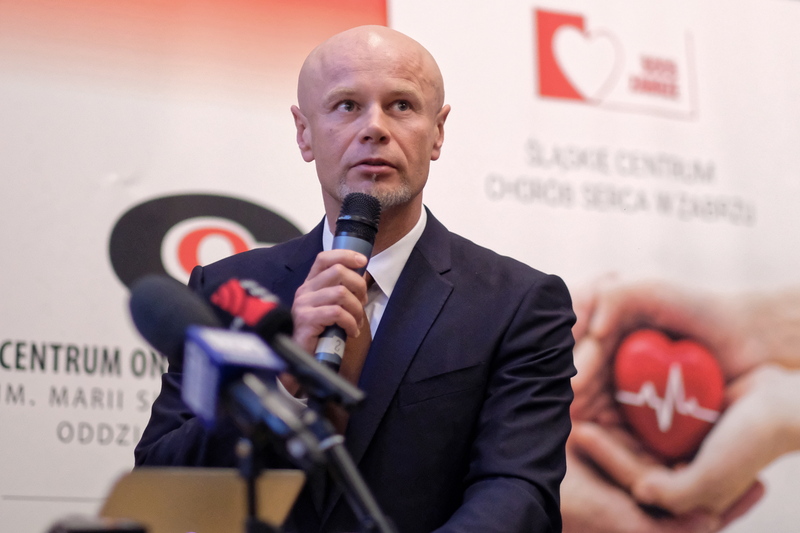 Now doctors from the Oncological Centre in Gliwice have carried out ground-breaking surgery by completely rebuilding the internal organs of his neck by transplanting a new larynx, trachea and throat, a first in successfully carrying out a simultaneous organ and bone marrow transplant. 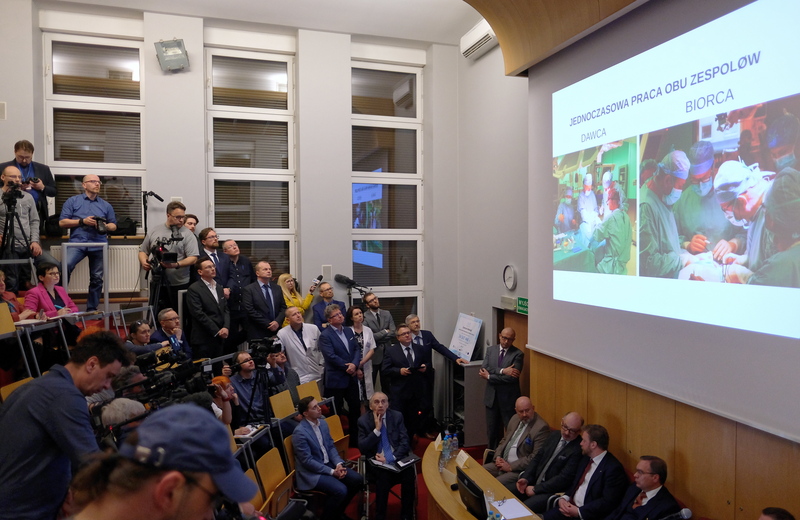 Professor Adam Maciejewski from the Oncologic and Reconstructive Surgery Clinic in Gliwice told a packed press conference that they had effectively rebuilt the boy’s internal organs.Andrzej Grygiel/PAPProfessor Adam Maciejewski from the Oncologic and Reconstructive Surgery Clinic in Gliwice said: “In the first stage of treatment, nine months ago, we reconstructed the esophagus within the colon mediastinum up to the level of the neck. In most cases transplant patients are forced to take immunosuppressive medicine all their lives, to ensure the organs aren’t rejected. The treatment often results in lower immunity and the patients suffer from many infections. To prevent this situation, the doctors carried out a bone marrow transplant as well. 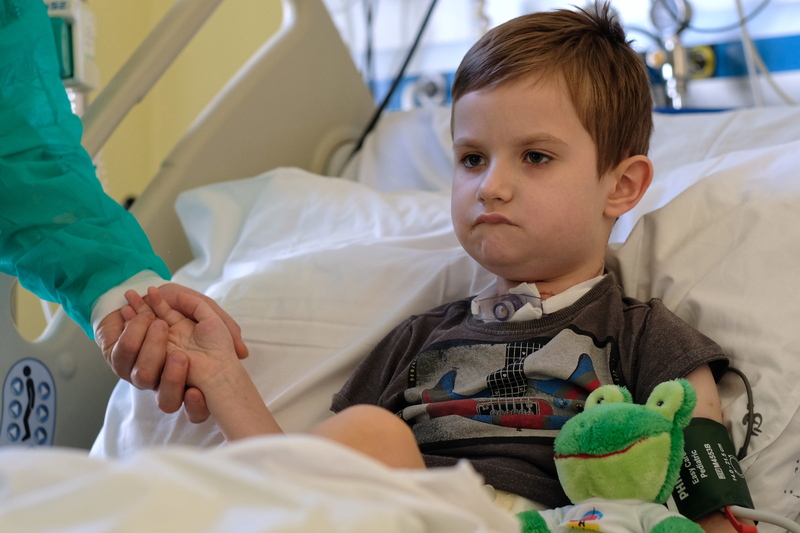 Professor Maciejewski added that the surgery would enable the boy “to function normally, that is, properly breathing and eating, and learning speech.”Andrzej Grygiel/PAPBefore the surgery in Poland, the simultaneous procedure of organ and marrow transplant has only been tested on animals or on human kidneys from living donors. Nowhere in the world has anyone attempted to do a composite tissue transplantation combined with taking the marrow and giving it to the patient in order to eliminate or reduce life immunosuppression. This was also only the second organ transplant surgery in the world carried out on a child. Tymek is currently in the process of rehabilitation, which will restore his breathing and eating ability.Andrzej Grygiel/PAPProfessor Maciejewski concluded: “The purpose of this complex procedure is to create conditions for the patient to function normally, that is, properly breathing and eating, and learning speech. (…) Currently, the boy is in the process of rehabilitation, which will restore his breathing and eating functionality. We have to wait six to nine months for the final results of our treatment.